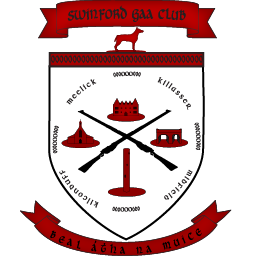 The Annual General Meeting of Swinford GAA Club will be held on Saturday the 3rd December in ‘The Gateway Hotel’ @ 8 p.m. sharp. Best of luck to the Swinford Minors who take on Charlestown at Ballyhaunis on Saturday at 6 in this East Mayo Final Replay. All support welcome. Please note deadline for ticket orders to Club Officials is Wednesday 17th 2pm. Good luck to the Minor team who travel to Foxford tonight for a 7pm kick-off against Moy Davitts, all support welcome.